allowing a change of direction. We can provide short radius elbows and long radius elbows. 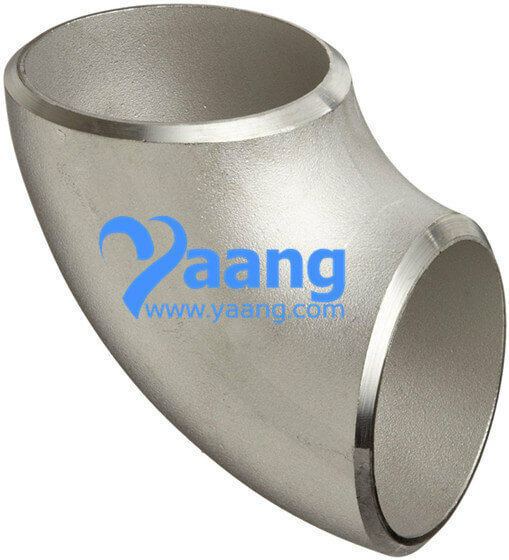 Usually, 90 Degree Elbow is made of duplex stainless steels, stainless steels, alloy steels, and more. Hastelloy C22 is a omnipotent of nickel, chromium and molybdenum mixed alloy, with better corrosion resistance performance than other alloys, for example, Hastelloy C276 alloy, C4 alloy and 625 alloy. Hastelloy C22 have a good resistance performance to pitting, crevice corrosion and stress corrosion cracking, have excellent inoxidability water medium performance, including the wet-chlorine, nitric acid or oxidizing acid mixed acid with chloride ion. Meantime, Hastelloy C22 possesses perfect resistance to reduction and oxidation of processing enviroments, then it can be used in some complicated environment or with many different manufacture target factory depend on the omnipotent performance. Hastelloy C22 possess prominent resistance performance to different chemical environments, including strong oxidizing matter, such as iron chloride, copper chloride, chlorine, heat pollution liquid(organic and inorganic), formic acid, acetic acid, acetyl oxide, sea water and salting liquid and so on. 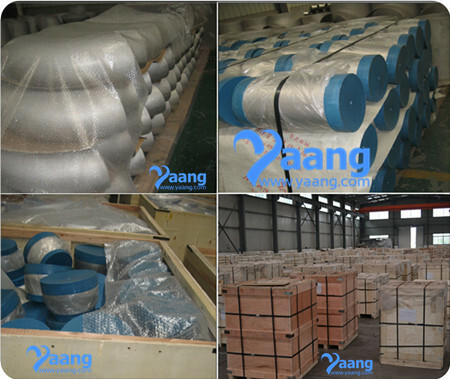 Hastelloy C22 alloy can resist the grain boundary precipitate form when jointing heat affected zone, this performance made it can applied in many kinds of chemical processing. Alloy C-22 should not be used in service temperatures above 1250° F (676.7℃) due to the formation of detrimental phases which form above this temperature. What are the characteristics of Hastelloy C22? 1、Outstanding corrosion resistance and oxidizing environments. 2、Excellent resistance to pitting and stress-corrosion cracking. 3、Maintains corrosion resistance in welded joints. 2. The UNS N06022 90 Degree Elbows are constructed of heavy materials for rigid applications like extreme high/low temperature resistance etc. 3. The UNS N06022 90 Degree Elbows are specifically designed for use on process and control systems, instrumentation, and equipment used in chemical, petroleum, fluid power, electronic and pulp and paper plants. Hastelloy C22 is widely used in the chemical field and petrifaction field, such as the element of chloride organic and catalyze system.This material especially suit for high temperature environments, impure inorganic acid and organic acid (such as formic acid and acetic acid), sea-water corrosion environments. UNS N06022 90 Degree Elbow, also called “90 bends or 90 ells”, are manufactured as SR (Short Radius) elbows and LR (Long Radius) elbows. 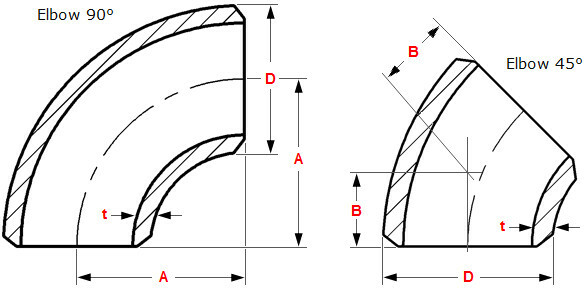 SR (Short Radius) elbows have a Center-to-Face dimension of 1.0 X diameter and are typically used in tight areas where clearances are an issue. LR (Long Radius) elbows have a Center-to-Face dimension of 1.5 X diameter and are the more common type and used when space is available and flow is more critical. The Hastelloy C22 90 Degree Elbows are used in Petro-Chemical Industry, Oil and Gas Industry , Nuclear Industry, Pulp & Paper Indusry, Research & Development , Mega Projects & Defense & Development Industries. In fact wing to the special grade of steel Hastelloy C22 90 Degree Elbows are used for all critical applications. Where can we find the high quality ASTM B366 UNS N06022 Hastelloy C22 90 Degree Elbow.